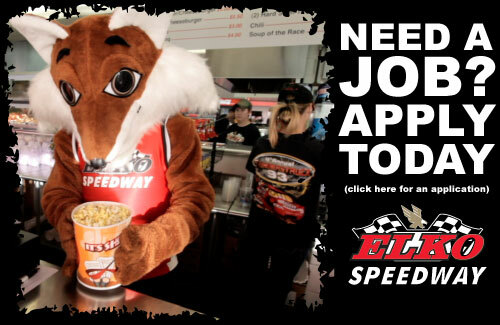 At Elko Speedway, we have a variety of summer jobs waiting for you! With starting wages at $11/hour, we boast higher wages than most local part-time work. Here at Elko we also provide a fun and exciting atmosphere to work in, even if you don’t have any experience we will teach you. Apply today and join our team! We are currently hiring fry cooks and concession cashiers over 18 years old. We are also seeking individuals for ticketing sales and takers, along with two maintenance techs (great for 1 college kid and 1 high school kid) to start early May. Positions available for Wednesday through Saturday, working during show times at Elko Drive-In Theater and on Saturdays at the race track. See you this summer!